This training will include a comprehensive practice in Vinyasa Flow, Restorative Yoga, Pranayama, Yoga Nidra and Ayurveda. There will be special attention to the alignment in asana, understanding asana practice for managing health, sequencing for classes, and posture adjustments. We will explore yogic philosophy by discussing the teachings of Pantanjali’s Yoga Sutras and the Bhagavad Gita. Two of the weekend modules will focus on Ayurvedic philosophy and how to apply the science into your own practice and classroom. Our priority in this training that is Yoga Alliance compliant for a 200hr certification and create a platform for continued personal growth. Class of 2017 in the Tent Studio. Please take some time to fill out this form. The ancient teachings of yoga not only challenge the physical body but mental & emotional transformation is inevitable. Our teachers all have a profound backgrounds in the practice of Yoga & Meditation and are mindful of the shifts and changes that may occur during your time with us. It is important to be honest with your responses to our questions so that we can start to get to know you from the very beginning. Please respect the responsibility as a student of this process and we ask that you acknowledge the obligation of self awareness with your personal growth and how you contribute to the group as a whole. 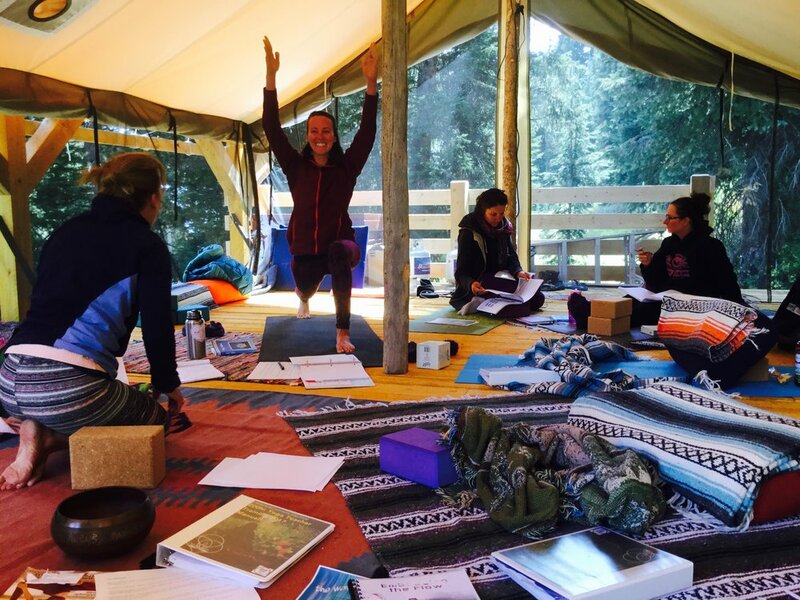 By turning in this form and accepting acceptance to the CBCYC Yoga Teacher Training, you have agreed to fulfill all requirements of this training. It must be understood that tuition is payed in full before the beginning of the training as listed in the three payment options and that full payment of tuition does not guarantee certification with CB Community Yoga Coop Teacher Training. Along with your application, you will need to provide one letter of recommendation from a yoga teacher you have attended classes with for a extended period of time. Please ask them to write a statement on behalf of your yoga practice, your level of appreciation and strengths that would benefit your learning and participation in a Teacher Training program. Please have them describe their background in teaching yoga, if they are teaching presently and what styles of practice do they teach. They can email me directly at that1wave@yahoo.com. 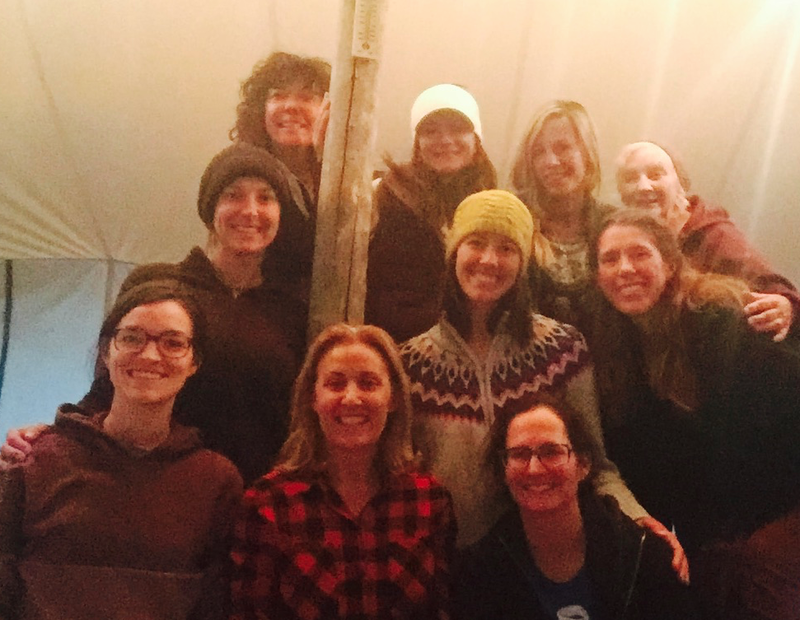 On Friday evenings, Saturday and Sundays our training will be on Kristi Murrin's property at Irwin, Colorado. Just 15 minutes into the mountains outside of Crested Butte at 10,500ft we will be practicing yoga and studying Yoga art among the majestic beauty of the Rocky Mountains. This property is up against National Forest and has many opportunities for walking and sitting meditation. The mushroom season at this time is at it's peak, so be ready to find Chanterelles and King Boletes every day! You may camp on the property during your stay and utilize the facilities of the main house. There are only 8 spaces available for this Teacher Training. Once you have made a payment, you are on the list. A $500 deposit is required if you would like to reserve your spot in this program before July 1st, 2018. The option is the last on the drop down menu below. There is a $150 cancellation fee if you have decided to cancel your acceptance after July 1st, 2018. The remaining balance will be refunded back to you. Lead Trainer, Kristi Murrin grew up in West Virginia and moved to Colorado in 1990. She began her studies with healing arts when she first went to an acupuncturist in Crested Butte for chronic back pain. She was recommended to an Iyengar yoga class and after the first week of classes she knew yoga would always be an important part of her life. In 2010 she decided to travel to Indonesia and complete her first of many certifications to teach yoga. Since then, she now has over 500hrs of training with Shiva Rea, the creator and founder of Prana Flow©, a vinyasa style of yoga that integrates natural body movement with the alignment of breath and asana. The art of sequencing, Yoga business and ethics. Terri has been teaching yoga since 2009. She acquired her 200 teaching certification at Shoshoni Yoga School and Meditation Center in Rollinsville Colorado. Although she enjoys studying a variety of styles, Terri's practice is firmly rooted in the Shambhava tradition. Encompassing meditation, asana ( yoga posture) ,seva (selfless service) as well as conscious living through these diverse practices. 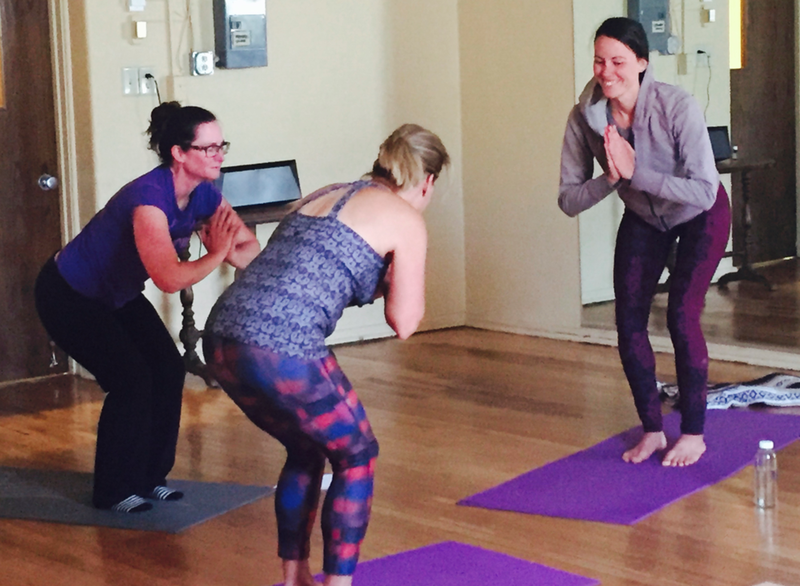 Terri's teaching style is a strong foundation in the breath, body awareness and alignment then moves deeper, allowing the student to explore their own personal experience of yoga through inner focus and surrender. She believes the ultimate purpose of asana and restorative yoga is to cultivate a meditative state, to guide the student inside where their potential awaits.
" I bring a clear and compassionate instruction, an authentic practice, and a love for yoga and health to my teaching". Click on the book name and it will take you directly to the Amazon page.